I was fortunate enough to taste Sip of Sunshine earlier this year. I say fortunate as it is a really nice IPA (India Pale Ale), full of citrus and tropical hop aroma and flavor. I have never brewed up a clone. I have used clone recipes for inspiration in the past. This recipe originally started off as a quest to get my home brewing of IPA to the next level. IPA has evolved over the past seven years as new hops, new hopping techniques and new malt combinations have taken a bitter bomb to a more balanced, dry, not sweet malt profile with huge amounts of flavor and aroma. I have tried to keep up but, at times, I believe I am doing my version of these (it is home brewing after all). But, my ultimate goal, is to brew the tastiest home brew possible. I want friends and family to ask for another. I am not too sure my recent creations have hit that level. Possibly due to process, possibly due to the time I have at my disposal and possibly due to inference of not trusting my abilities of late. Looking for high rated American IPAs on Beer Advocate is a great place to start for the commercial beers that are turning heads. Next, I took the list over to Home Brew Talk searching for clones of these beers. This step was probably the most fun: reading people’s input as they build a recipe, pulling in their own research along the way to finally create what most agree is a great clone. That all said, I couldn’t do an exact clone :), slight changes, but I really have to give credit to the homebrewtalk community. Enjoy! 2015-09-19: Ramp up to 68*F to finish. 2015-10-04: Bottled, 30, 22 ounce bottles. Final gravity: 1.010. 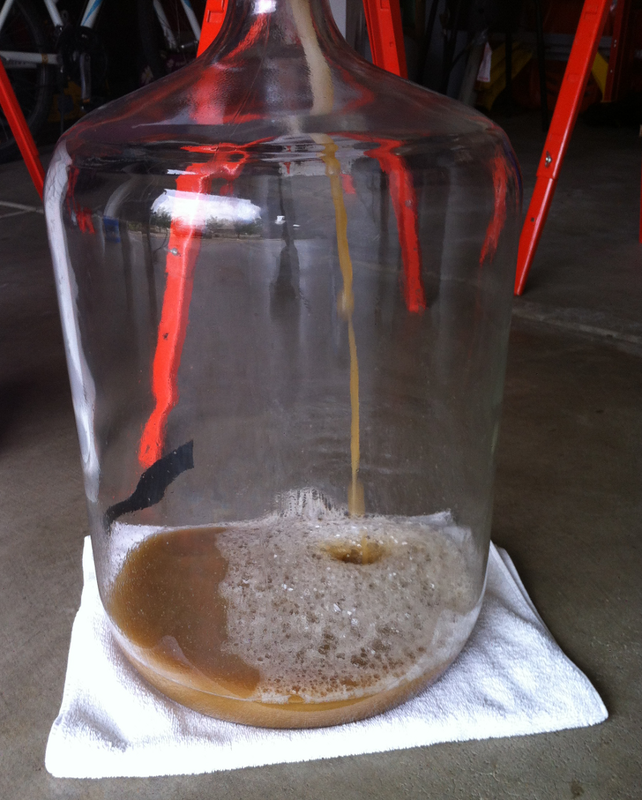 This entry was posted on Monday, September 14th, 2015 at 2:28 am	and is filed under Home Brewing. You can follow any responses to this entry through the RSS 2.0 feed. Both comments and pings are currently closed.